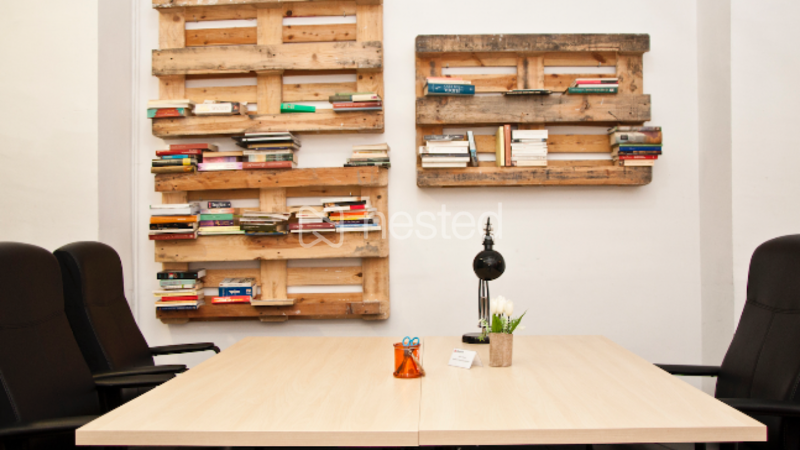 Coworking desk for creative, innovative and openminded entrepreneurs and companies that want to take the next step. Here you could work individually or together, in collaboration. We believe in the combination of the two: working individually as a basis and working with others if you need. We call that: Working Independently Together. Come and visit us! Here it's the second coworking space of depot Lab. So, Depot Lab is a coworking space in Barcelona for creative, innovative and openminded entrepreneurs and companies that want to take the next step. We believe in working individually and we believe in working together, in collaborating. But more than that we believe in the combination of the two: working individually as a basis and working with others if you need. Depot Lab is a coworking space in Barcelona with 2 locations, one near Diagonal and one near Joanic. In our coworking you will find creative, innovative, openminded entrepreneurs and companies that want to take the next step. We believe in working individually and we believe in working together, in collaborating. But more than that we believe in the combination of the two: working individually as a basis and working with others if you need.